​The F-Series product range offers you an extensive selection of field mount indicators, controllers and monitoring systems for flow, level, pressure and temperature measurement in safe and hazardous area applications. 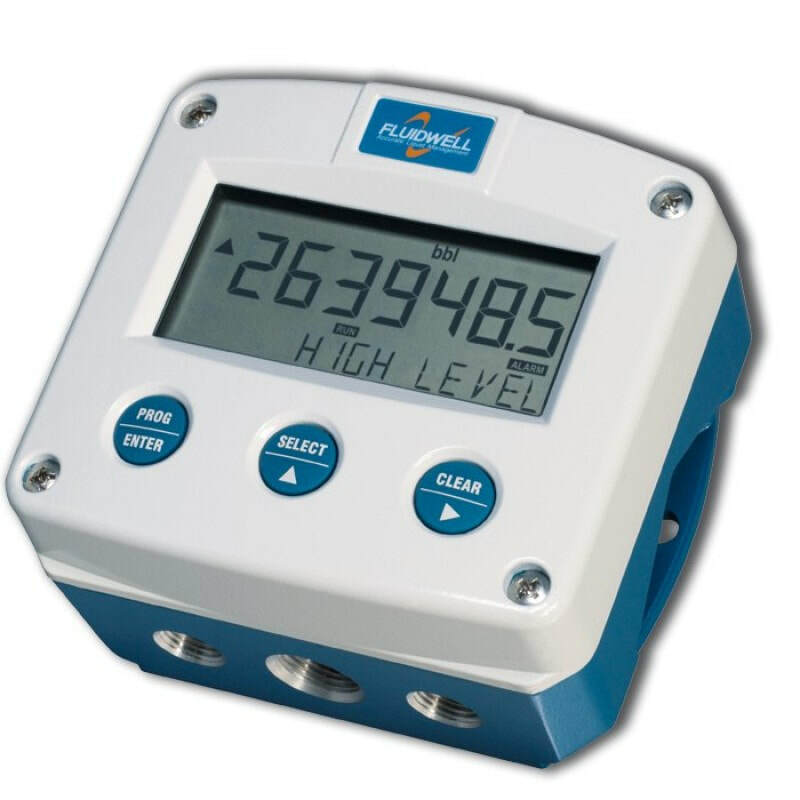 The Fluidwell F073 Field Mount Level Monitor with one high / low alarm output is a versatile level indicator with continuous level monitoring feature. If desired, an ignore function can be set up to allow for an incorrect level for a certain period of time. The configuration of the Span, off-set and number of decimals is done through software functions, without any sensitive DIP-switches or trimmers. The display shows the actual level, height or percentage, alarm values, alarm messages and status. Robust IP66, IP67 (NEMA Type4X) field enclosure. The Fluidwell F073 is so tough, it can even take the weight of a person without damaging the casing! Programme the unit using your own team members, with a easy to navigate menu-driven structure, saving cost and irritation. Know one, know them all! The Fluidwell F073 is a versatile level indicator with continuous level monitoring feature. It offers the ability to set one low level and one high level alarm value.